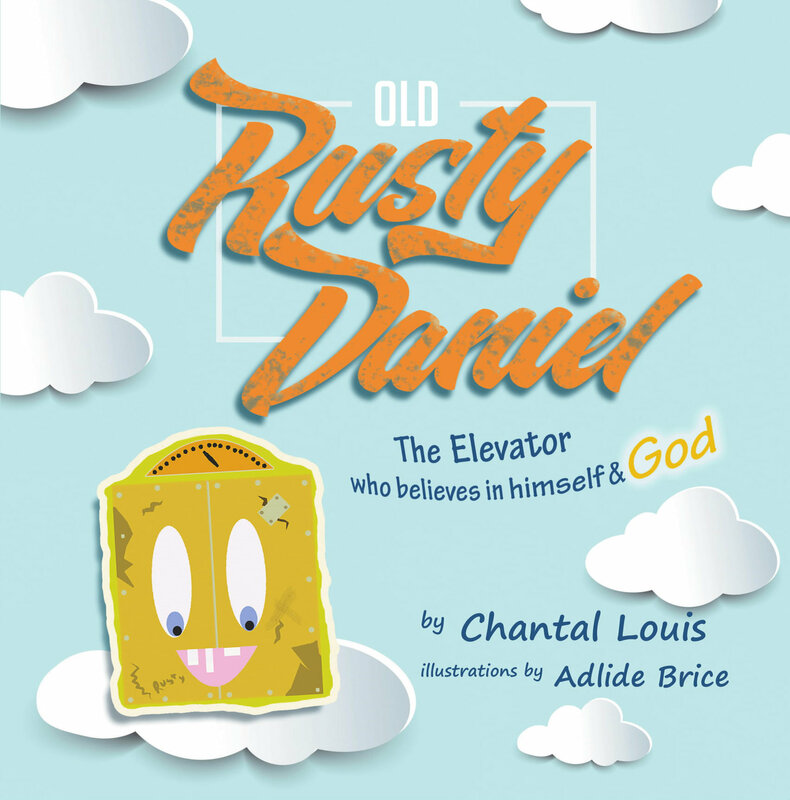 Old Rusty Daniel is about a elevator who faces a lot of obstacles, trials and tribulations and bullying from his brother Robin. Old Rusty Daniel is old and rusty so no one wanted to use him. Many of his sisters and brothers would encourage him while some would try to bring him down, discourage and laugh at him. The best part about this story is Old Rusty Daniel has relationship with God. He believes in God. He believes in prayer. He has confidence that God has a plan for his life. He believes God will answer his prayers. Guess what happens next? God blesses Old Rusty Daniel in make him the greatest elevator in the hotel. No matter what it looks like God is around the corner do not give up remain steady in the Lord. My name is Chantal Louis and I am the author of Old Rusty Daniel. Old Rusty Daniel is a testimony of my life. I faced many obstacles because I was a sick child. I was called “retarded”, “flat face”. My family would joke about who would take me in because I was too slow to learn. My parents believed in me especially my mother. My mother would pray over me declaring greatness over my life. I loved when she prayed for me but when I got to school, kids would attempt to hurt me. They pulled my hair and laughed at my clothes. I remember coming home taking all my mom’s pills, I wanted to die. One thing I learned from suicide, if God don’t approve it, it cannot and will not come to pass. I had a calling over my life. I began to worship and worshiped. I was leading service at church concerns. I was the first one to buy a house in my mother’s kids. The Lord blessed me. I love to write, imaging and worship. One day, I will be a speaker. Nothing is impossible with God strength in me. I live today to give children hope. I am a proud mother of five. 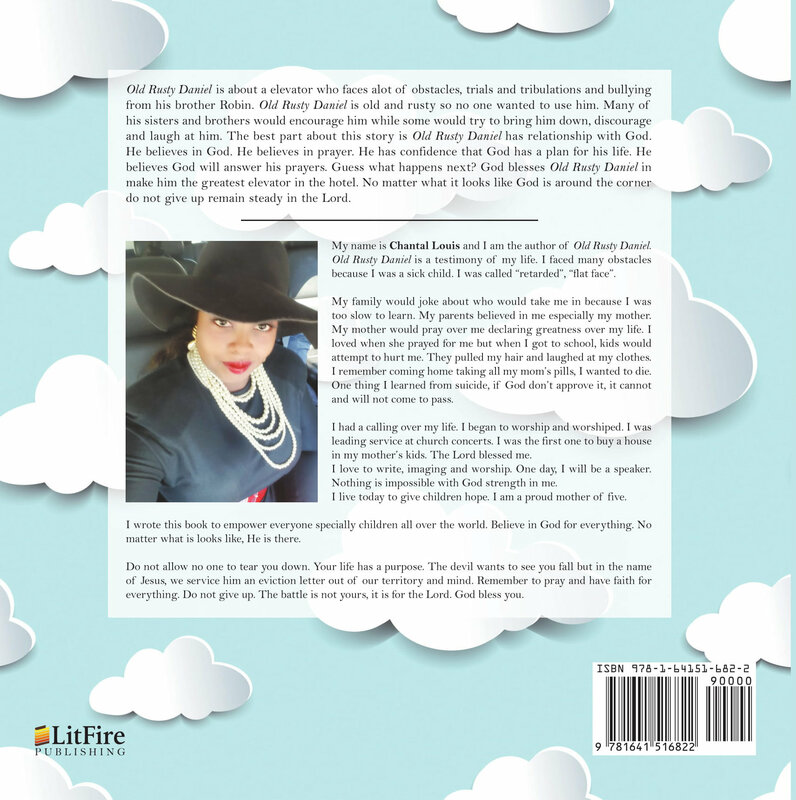 I wrote this book to empower everyone specially children all over the world. Believe in God for everything. No matter what is looks like, He is there. Do not allow no one to tear you down. Your life has a purpose. The devil wants to see you fall but in the name of Jesus, we service him an eviction letter out of our territory and mind. Remember to pray and have faith for everything. Do not give up. The battle is not yours, it is for the Lord. God bless you.